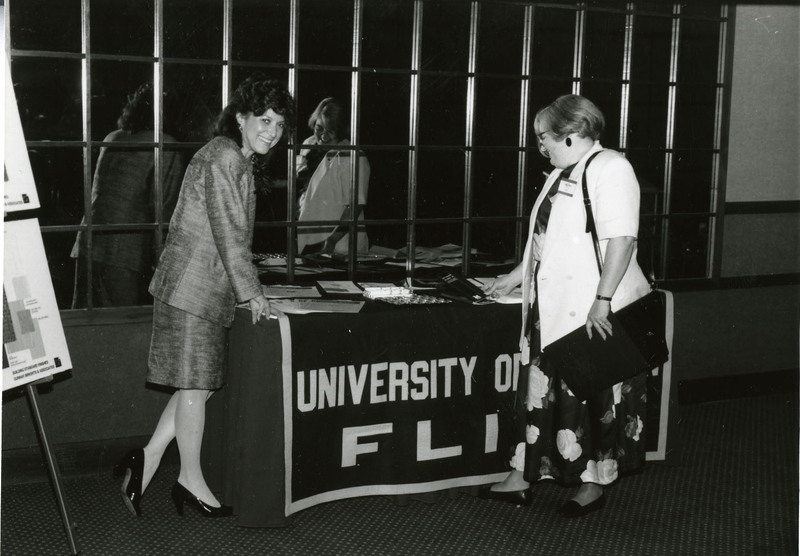 When I arrived at UM-Flint in 2001, I had never heard of the Critical Issues Forum. My first introduction to it was by Joanne Sullenger who was the Vice Chancellor for Development. Joanne always had University Relations design the brochure for the event. So when it was time, Joanne called me into her office for a meeting. What I thought would be a rather quick tell-me-what-you-need-and-when-it’s-due kind of meeting, turned into several hours of explaining to me the importance of the Critical Issues Forum. Always impeccably dressed in a business suit (I don’t think she ever wore the same thing twice), Joanne would explain to me all of her thoughts, plans, and concerns for each of the speaker events. Peering over her glasses at me, Joanne would say, “Jennifer, you know, everything has to be absolutely perfect at Critical Issues.” She was right. Joanne had the event down to an art and a science. She knew what she wanted, and no detail was left undone. In her exacting way, Joanne would go over and over all aspects of the event while I sat on the other side of her desk, staring at a painted gourd that she had on display. Stargazer lilies on every table—I always wondered if those stargazers were symbolic of “gazing at stars” or famous people, but I never asked. Menus that she fretted and fussed over until they were culinarily perfect. Timelines that had down to the exact minute what everyone was supposed to do and when. Memos and letters were sent out to all the actors who had a role in the event production. It was a little intimidating to be in the presence of one of the all time greatest planners planning such a high profile university event. In those days, Joanne ran Critical Issues with an iron fist. The doors to the Michigan Rooms where the luncheons were held were kept tightly shut until exactly noon when people were allowed in to claim their seat. Joanne never actually sat at the lunch, but ran around greeting people, making sure everything was just so. The luncheons were always flawless, Joanne ever the gracious hostess. At the end, she would give us all bouquets of stargazer lilies to take back to our offices. The hallways of the second floor of University Pavilion would smell like those lilies for days on end. Watching Joanne at the Critical Issues Forum made a huge impression on me. From her, I understood that you don’t rest at the event your responsible for—instead, you stay on your feet, you worry, you check, and you do all you can to make things run smoothly. Leave nothing to chance. More than anything else, Joanne understood that she was a steward of Mrs. Thompson’s vision. Joanne keenly felt that responsibility, and she honored it. Many times when I am standing in the room at Critical Issues, I think about Joanne and hope that she would approve of the evolution of the event from those days in the Michigan Rooms. I am grateful for the hours I sat on the other side of her desk, listening to all of her opinions on what makes a great Critical Issues event. No, we don’t have the lilies anymore. The room is bigger. The speakers all do two events instead of one. But the spirit of the event remains, as well as the attention to detail. The stewardship continues. As a result of Joanne’s care and concern for Critical Issues, we are linking her legacy with this event by naming the 10:00 a.m. sessions the Sullenger Dialogues. It is fitting that we would carve out a bit of this iconic university event in her honor. I think she would be proud, but she would probably worry that I didn’t fuss over the catering menu quite enough. She would be right.